Our Lab Member Ruben Venegas-Li (PhD student) has had his 2017 publication on 3D spatial conservation prioritisation featured in the latest edition of Decision Point, a monthly publication from the ARC Centre of Excellence and Environmental Decisions. Spatial conservation prioritisation is a method used to identify areas where conservation goals can be achieved efficicently. Traditionally this has meant the region being considered is subdivided into two-dimensional planning units. Oceans are inherently 3D spaces, and Ruben and his collaborators have proposed a novel 3D approach for the marine realm. Click below to download your copy of this issue of Decision Point. Leslie Roberson confirmed, and another paper accepted for publication! Congratulations to our Lab Member Leslie Roberson on getting confirmed as a PhD student with UQ. Confirmation is the first of three milestones that all PhD students must complete throughout their candidature. Leslie’s research will explore incidental ‘by-catch’ of threatened species in small-scale and industrial fisheries, with a focus on individual fisher behaviour and seafood supply chains as two important avenues for management to improve the environmental performance of fisheries. Well done, Leslie! In other news, our next publication by Mačić et al., entitled “Biological invasions in conservation planning: A global systematic review”, has been accepted for publication in Frontiers in Marine Science! Click on the image below to read the abstract. Congratulations to our Lab Members James, Junior, and Andrew! We would like to congratulate our lab members in their recent achievements! Honours student James Vandersteen is the recipient of the 2018 Heron Island Research Station (HIRS) Research Scholarship. This scholarship was developed to provide students with the equipment and access required for investigations of the diverse habitat and environmental concerns of Heron Island, its terrestrial habitat, reefs and surrounding waters. 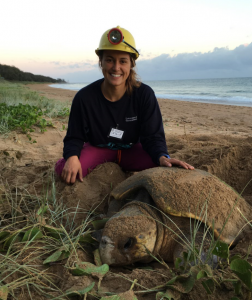 James’ project will thoroughly explore, using novel technologies, night light distribution on Heron Island with the aim to minimize its impact on sea turtles. PhD students Junior Novera and Andrew Rogers have completed their Confirmation and Final Thesis Review milestones respectively. 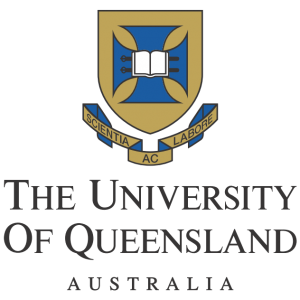 PhD candidates at The University of Queensland complete three milestones throughout their candidature. Junior’s research explores the ecology, evolution, and community conservation of iconic Melanesian mammals on Bougainville, PNG. Andrew’s research explores why certain species do well in human dominated habitats, and how introduced species impact native community interactions, using introduced and native bird species as his study system.